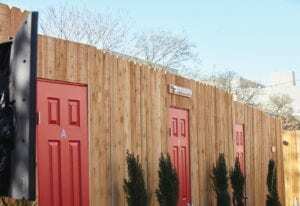 After ordering from Torchy’s, attendees headed to “font doors” where their food was waiting. You might think it’s a challenge engaging consumers in the on-demand economy, but at SXSW, DoorDash, the food delivery platform available in more than 3,300 cities in the U.S. and Canada, welcomed the challenge with open doors. 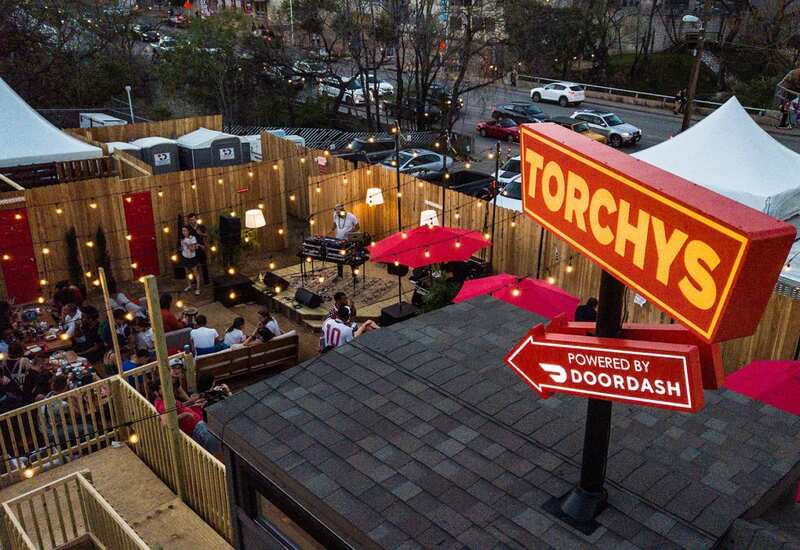 In its first-ever physical space at the annual festival in Austin, DoorDash activated the “Tiny Home Away from Home,” a customized tiny house and backyard dropped into the middle of downtown Austin that offered free tacos from Torchy’s Tacos, live music and educational panels. 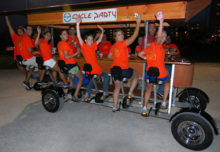 The experience, March 12-14, was built as one big demo of DoorDash and was open to anyone. Each day, attendees lined up to get into the tiny house footprint, where they signed in with their name and email address, and then ordered complimentary food from Torchy’s. Once they placed their order they headed into the yard with a personal buzzer, and after it went off, they moved over to a row of “front doors,” opened their corresponding door, and there was a Dasher (the platform’s delivery people) waiting on the other side with the food. The experience mirrored that of using DoorDash at home—a pit stop at the open bar afterward topped it off. 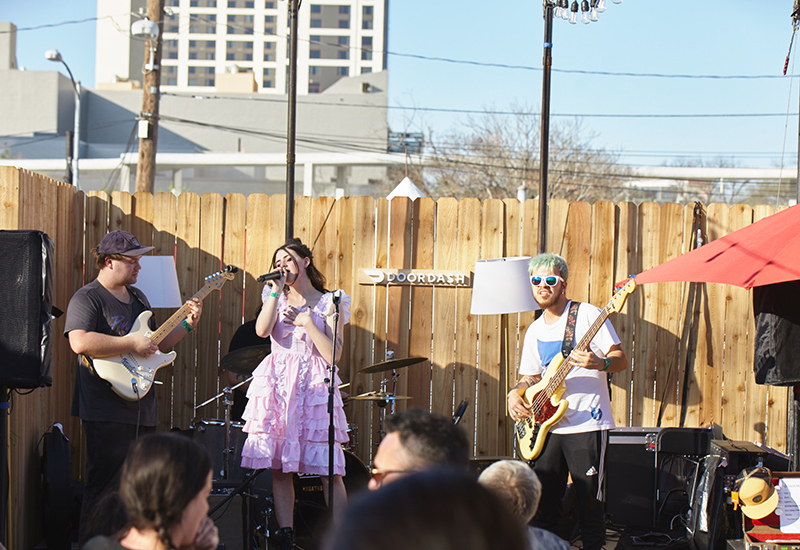 If attendees arrived at just the right time, they enjoyed performances over the course of the three days, which included appearances by Austin musicians Josh Dyer, Jacob Luttrell, Kat Dahlia, Anna Shoemaker, Lexi Todd and City of the Sun. If they were extra timely, they caught performances by music industry stars CeeLo Green and Priscilla Renea. Attendees could also catch a panel with “MasterChef” finalists Ashley Mincey and Farhan Momin. “I’ve done South by for a number of years and in previous organizations and iterations of me being there, I tended to find that the best stuff is always behind closed doors. You have to register in advance, be a badge holder, be a different level of badge holder, and we wanted to do something that was democratic in a sense,” says David Tai Bornoff, head of brand at DoorDash. “There was no VIP line, no special treatment; we just let everybody come in and depending on if you got in at the right time, you got to see special surprise artists perform. 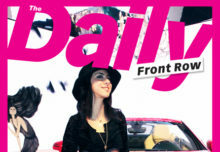 That’s how we think about our product—it’s for everybody.” Agency: MediaMonks, New York City. If attendees arrived at just the right time, they could enjoy surprise music performances.